Simply put, statutes of limitations are legal deadlines. In criminal matters, statutes of limitations define a specific period of time for prosecutors to bring charges for the commission of a crime. If the deadline passes, then charges cannot be filed. The same principle applies to civil cases. After a statute of limitations elapses, a civil claim is invalid. Statutes of limitations are fundamental to the American legal system, and date back to Roman law. The purpose is to prevent fraudulent and old claims from arising after evidence is either eroded or lost, and facts are no longer reliable due to the passage of time. Statutes of limitations are enacted by state legislatures, and vary from state to state. Most states place limitations on all crimes except murder. Time limits apply based on the classification of an offense, which diverges into either felonies or misdemeanors, and is further categorized by degree. In Florida, for example, elder abuse and DUI are both considered third degree felonies punishable by up to five years in prison. The statute of limitations for a third degree felony is three years. The time period usually begins when the crime was committed. 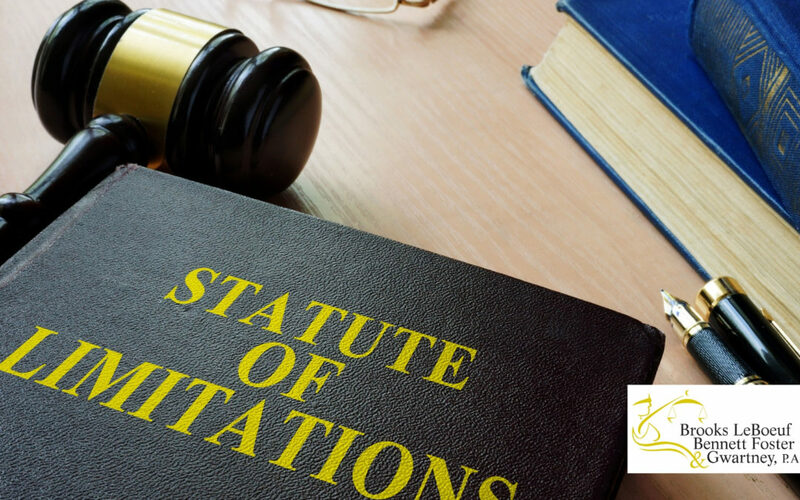 In civil matters, statutes of limitations can be determined by the type of “cause of action,” or set of facts used to justify a lawsuit, under which a claim is pursued. Different deadlines apply to different causes of action, such as whether a civil suit involves a contract, personal injury, fraud or other claim. Statutes of limitations are also intended to resolve legal disputes in reasonable amounts of time. They are designed to aid defendants, as a statute of limitations defense can be asserted after an elapsed time period. If necessary, plaintiffs can seek to “toll” a statute and thereby extend a time period needed to bring a lawsuit. Tolling sometimes applies to cases involving sexual abuse, where victims may have deep psychological trauma inhibiting their memory. If you or someone you know would like more information about the statute of limitations of a particular case, do not wait to contact an experienced, local attorney. We are here, as your local community attorneys, ready to answer your questions and help you on your case twenty-four hours a day, seven days a week.